High-speed fibre-optic internet could finally be coming to Nunavut, with two groups now competing to run subsea cables through the Arctic archipelago. Latest proposal would see fibre line through the Northwest Passage, from Labrador to the N.W.T. For the past year, Nunavut Resource Corporation, which is partly owned by the Kitikmeot Inuit Association, has been lobbying the federal government for support for a new $850-million plan to build onto existing fibre optic networks in Labrador, Quebec and the N.W.T. Its vision: to create a giant loop across the North, tying the cables to the continental internet grid via the fibre line running up the Mackenzie Valley to Inuvik on one side and to Chisasibi in James Bay, Quebec, on the other. "I'd say it's more promising than the Arctic Fibre project which we all know about and was hyped pretty significantly," says Nunavut senator Dennis Patterson, referring to an earlier plan to bring fibre optic internet to Nunavut via a 15,000-kilometre subsea cable from Europe to Asia. Both plans are much needed: right now, many Canadian Arctic communities rely on a single satellite for internet and telephone service, a system whose fragility was once again on display during a 19-hour satellite outage that knocked out service to much of Nunavut and northern Quebec earlier this month. The rival Nunavut Resources Corporation network would be owned by the four Inuit birthright organizations — the KIA, plus the Kivalliq and Qikiqtani (Baffin region) Inuit associations and the umbrella Nunavut Tunngavik Inc. organization — and is intended to be financed through a combination of federal infrastructure grants and private investment. "Having an Inuit-owned venture… should appeal to a new federal government that's talking about engaging with Aboriginal people and working in partnership with Aboriginal people on economic development projects," adds Patterson. If the Inuit groups can secure around $500 million from the government, or 60 per cent of the project's costs, Nunavut Resources Corporation's team can "build a business case that would make it a sustainable long term operation," says Scott Northey, the company's chief operating officer. He says that's because Nunavut's reliance on satellite internet is already costing governments and businesses money, pointing to the example that while all the health facilities in Nunavut have telehealth capacity: "They can't actually email the x-rays and so instead they have to fly all these people out." The new proposal comes on the heels of the first major expansion of the continental fibre grid into the far North, over on the U.S. side of the border. This past summer, hundreds of kilometres of cable were spooled out over the back of trawlers and into six remote communities in Alaska. They're expected to be fully connected by 2017. 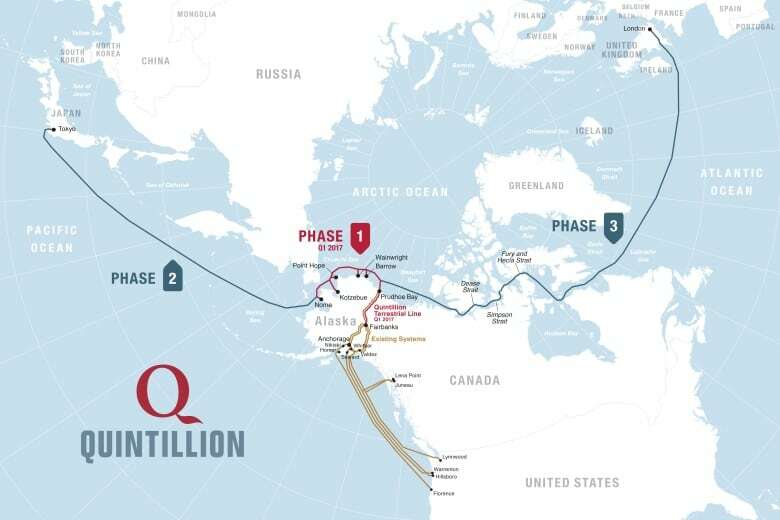 The company behind the project, Quintillion, acquired Canadian company Arctic Fibre earlier this year, and says it still has sights set on Canada. "The first phase is six landings in Alaska, the second phase is the extension of the network into Japan, and then the third phase is through Canada and the communities in Canada over to Europe," said Michael Cunningham, former CEO of Arctic Fibre, now a Quintillion board member. He didn't offer any timelines for when the Canadian phase of the project might proceed, but he was skeptical of other groups competing for a similar project. 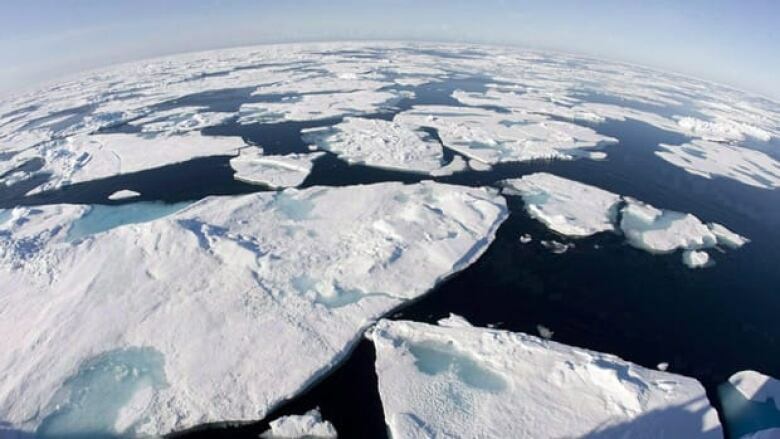 "Subsea projects in general are challenging to finance, and add on the execution risk of an Arctic project and it's a very challenging undertaking. We raised the money to go and do it," he says. Three years ago, Cunningham said Arctic Fibre had secured $620 million in private financing for the project. He says that financing is still in place post-acquisition, and the Quintillion partnership is bringing significantly more resources to the project. Documents filed with the U.S. Federal Communications Commission show that the project is backed by relatives of billionaire Leonard Blavatnik, currently the 53rd richest man in the world. "I wouldn't rule out Quintillion," says Patterson. "If they're going to be able to do it, that'll be great. But it's pretty clear they're focusing on Alaska." As for his favoured project: "It's early stages," says Patterson. "But they've got commitments from the Nunatsiavut government in Labrador, the Inuit government there. They've got commitments from Nunavik in Northern Quebec. They've got commitments from the Government of Nunavut and Inuit organizations all along the way." In Ottawa, he and others are actively lobbying the federal government. The first major hurdle, says Patterson, is convincing the government to change how it allocates infrastructure funding, and allow telecom projects to apply for a bigger slice of the $120 billion promised by the Liberal government over the next 10 years. "We got to realize that Canada was built by highways... and by railways, and it's our turn in the North and our highway is going to be a cyber highway," he says. Northey of Nunavut Resources Corporation hopes the government will announce support for the project as early as the 2017 budget. But he added that he'll be "shocked if it took us less than two years to get to the point where we're ready to hire people to start laying cable." A spokesperson for Infrastructure Canada told the CBC, via email, that "details of the [government's infrastructure] plan will be announced in the coming months."